Happy One Day Closer to Spring! wherever you live in the world today! Lately, I’ve been sharing brief video excerpts before and after my weekly Living 4D with Paul Chek podcasts on my blog/vlog which many of you really seem to like. With that in mind, I think you’ll really enjoy this short video featuring a key portion of my recent podcast conversation with Angie, one of our awesome faculty members at the CHEK Institute and a very powerful Shaman in her own right. 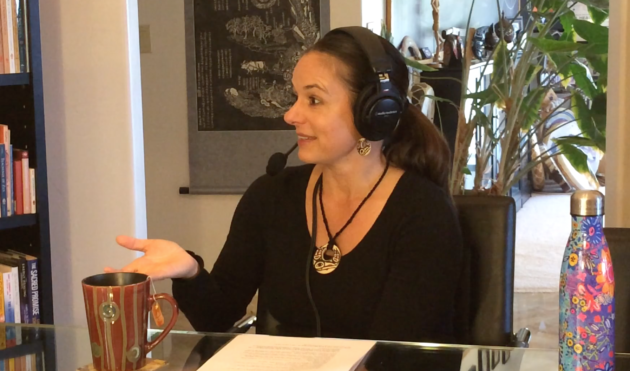 This portion of our interview starts with me asking Angie about the basic toolkit any Shaman needs to do his/her work. It includes some things you’d expect, like a drum, rattle, incense, candles and, depending on what someone needs for healing, maybe water, some soil or a plant. 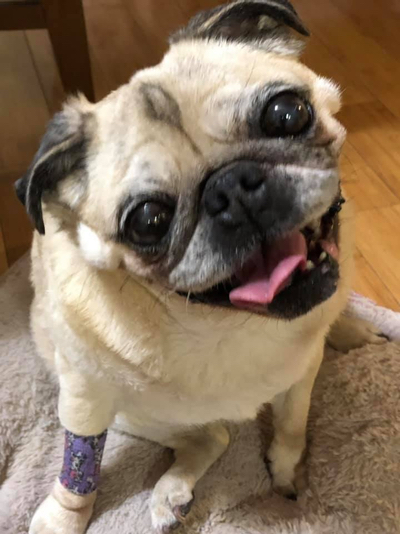 Unlike most Shamen, Angie often brings her pug and first baby, Maggie, with her to visit clients in need of healing. As Angie describes it, the healing coming from Maggie is not unlike what you’d feel during a Reiki session. The connection between them is so deep that Angie shares a beautiful story about a time when she was in Mystery School and physically apart from Maggie, but were staying in contact with each other. Evidently, that connection between animals and humans was on both of our minds when I asked Angie for an example of a profound experience she’s had in her life as a Shaman. She described her very recent encounters with a series of stunned creatures in succession. First, it was a woodpecker, then a large tarantula, a snake and, finally, a little mouse. These encounters weren’t miracles or coincidences. In fact, they meant something very special to our family as you’ll learn more about in this video excerpt. If you haven’t subscribed to my Living 4D with Paul Chek podcast and you love the work we do, I would really appreciate it with all of my heart if you would take a couple of minutes and sign up on your favorite podcast platform. Doing this will help us bring more energy, more guests and many more resources so I can share a whole lot more with you.